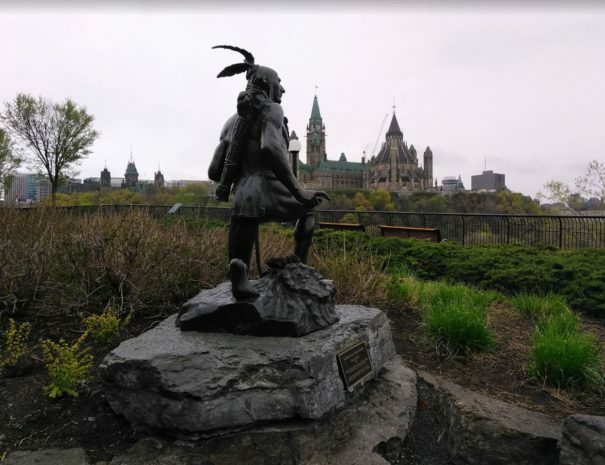 In 1996, Assembly of First Nations Chief Ovide Mercredi visited Ottawa’s Nepean Point and was disgusted to find a racist statue of a nearly-naked, unnamed Indigenous man crouched at the feet of a grand statue to Samuel de Champlain, an explorer who the accompanying plaque described as “the first great Canadian”. As a response to protests led by Mercredi, the National Capital Commission moved the Indigenous scout to Major Hill’s Park. Champlain, however, has kept his spot, and continues to thrust an (upside-down) astrolabe triumphantly in the air, enjoying an excellent panoramic view of the National Capital Region. Beginning at Nepean Point, this walk and talk explores how colonial logic shapes Ottawa’s built environment. 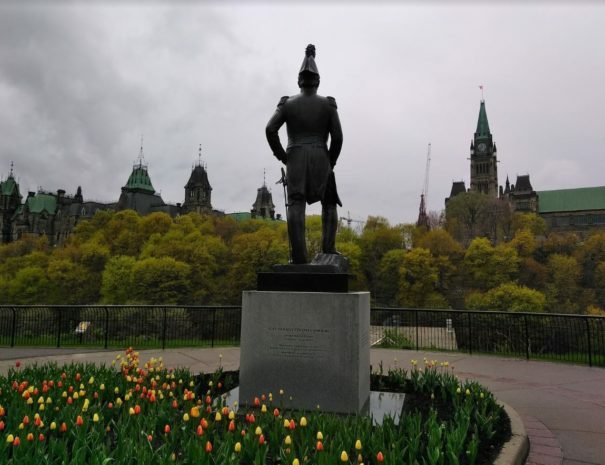 The tour continues through Major’s Hill Park, dips into the Byward Market, and ends on Parliament Hill where we will meet many storied statues (one statue was accused of sexual harassment, another was designed by the famous sculptor Walter Allward). 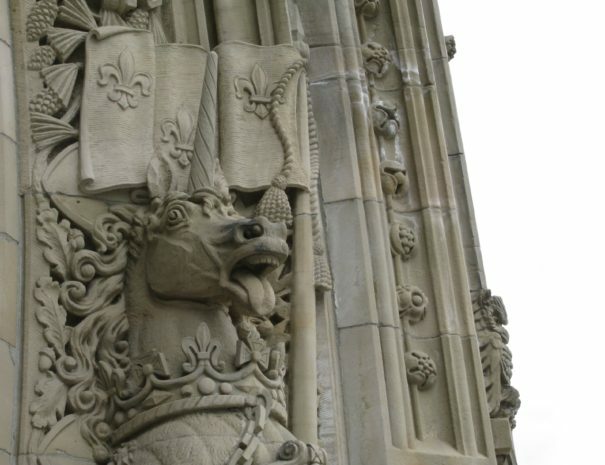 Through the statues, we will discuss and unsettle the dominant understandings of Confederation celebrated on Parliament Hill. 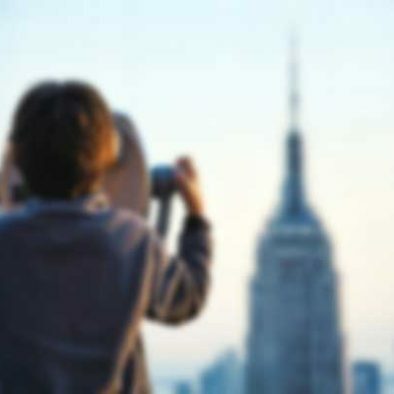 We begin at Nepean Point, a great vantage point for surveying the national capital region. 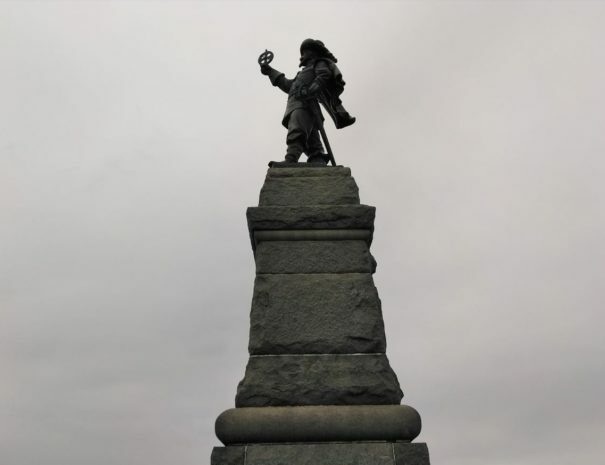 Here we will also hear about the life of the 1915 Samuel de Champlain statue. 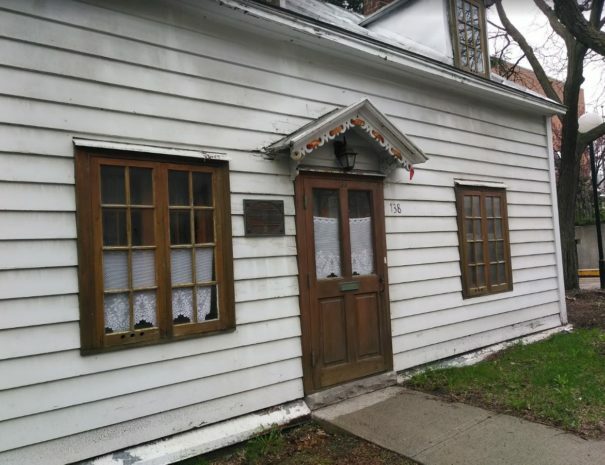 While there are no monuments to Metis leader Louis Riel in Ottawa, this house in the Byward Market has an interesting connection to Louis Riel. "Upside-Down Astrolabe Tour - Fantastic Experience! I went on the Upside-Down Astrolabe tour last weekend with Tonya, and it was a fantastic experience. She was an excellent guide with a wealth of knowledge about the statues of Ottawa and their histories, and she provided some very interesting deconstructions and criticisms of their colonial foundations. I came away very impressed, having learned a lot. 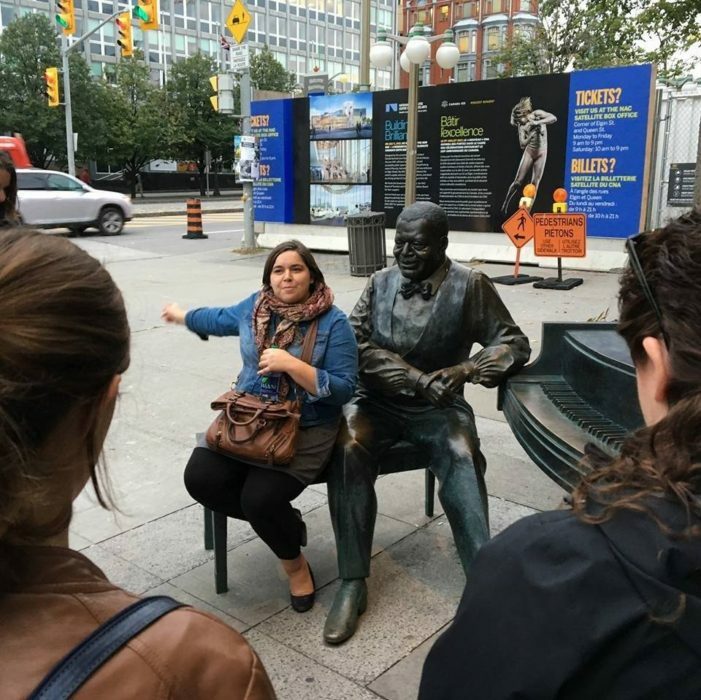 I definitely recommend this tour to anyone looking to go on an educational walking tour, and especially to those who want to see conventional views of Ottawa's statues challenged and analyzed from a post-colonial viewpoint"
“I did the Upsidedown Astrolabe tour with Tonya and loved it. 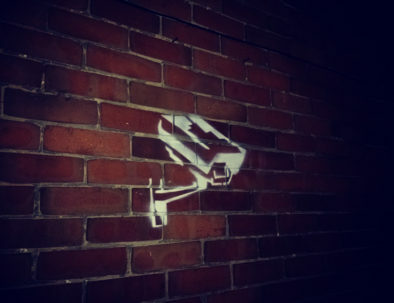 As a historian I really appreciated how she showed us histories and ideas hidden and contested in Ottawa landmarks. 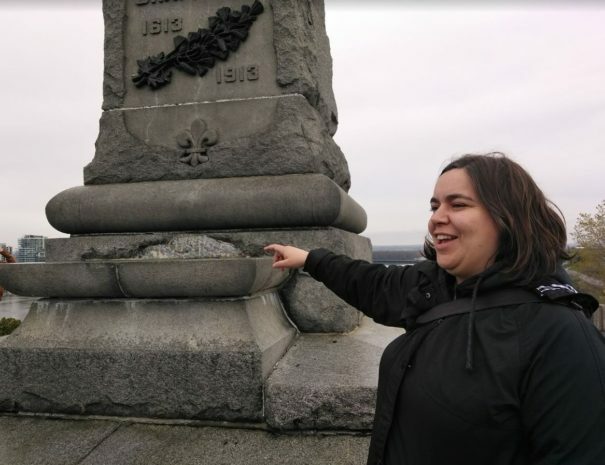 Her analysis and description of the Champlain monument on Nepean Point and how it erases indigenous histories of Ottawa was particularly strong. Would love to another Ottawa (de)tour." 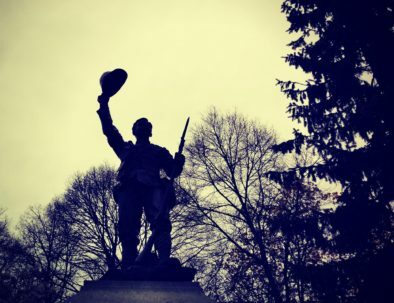 Join us as we explore how nationalist narratives get created and are mixed with memory, nostalgia, and love of country. 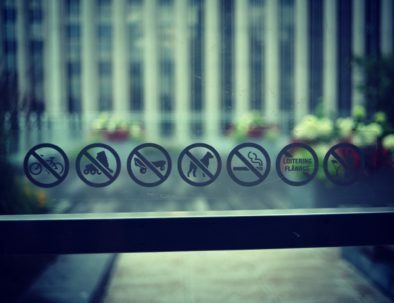 Explore a range of 'pseudo-public spaces' and experience how they can make us feel welcome or uncomfortable.